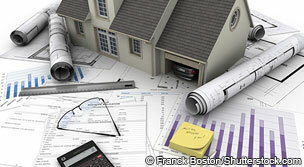 Some homeowners get so excited about remodeling jobs, they don't think things through. They just jump right in and hire a contractor simply because he's the cheapest, or they fail to set a portion of their budget aside for unexpected costs, such as having to rewire a kitchen that's not up to code. Yet it's exactly those kinds of predictable pitfalls that turn the renovations of your dreams into a nightmare you'll be reliving, and possibly regretting, for years to come. Avoid these 8 remodeling mistakes, and you'll dramatically increase the odds of bringing your project in on budget, on time and with absolutely delightful results. 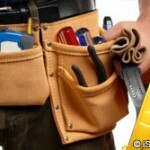 Home improvement shows love to glorify doing it yourself. You'll not only save money but walk away from the job with a grand sense of accomplishment. The truth is, it's easy to overestimate your abilities and underestimate how much time a project will require. Screw it up, and you'll not only wind up wasting hours of your time, you may have to pay a professional to rescue your bathroom or kitchen. Even if you're determined to put your building knowledge and tool skills to the test, consider this very rational compromise. Go ahead and do the simpler tasks such as demolition, painting, wallpaper removal, switching out hardware and light fixtures, and refinishing cabinets and woodwork. 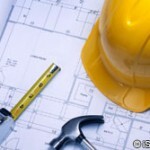 But commit to hiring licensed professionals for more complex jobs that involve plumbing, electrical or structural work. We know everyone who's ever seen an HGTV show is just dying to create that open-concept kitchen by tearing down a wall, but really, what do you know about load-bearing joists? Seriously. Think long and hard before putting your home at risk of flooding, burning or falling down. Building permits ensure that your project complies with all safety and zoning laws, and applications may require construction drawings from a designer or architect. Even if you're doing the work yourself, you'll still need a permit. Projects that affect the structural integrity of your home, such as adding a room to the back or building out a dormer in the attic, almost always require permits, no matter where you live. Many places insist on city or county approval for much smaller jobs, such as replacing windows or a furnace, landscaping a yard or erecting a fence. Sound like a big, unnecessary hassle? Ha. You don't know what hassles are until building inspectors catch you working without a permit. Not only could you be fined, but the sale of your home could be blocked and everything you built might have to be torn down and redone. Mold. Leaks. Corroded pipes. Termite damage. Outdated wiring. Asbestos-wrapped duct work. The older the home, the bigger the job and the more walls or ceilings you'll be tearing into, the greater the risk of finding expensive hidden problems that simply can't be ignored. Even the best contractor can't identify these costly surprises before work begins. If experienced reality television designers and contractors such as Hilary Farr and Jonathan Scott are constantly revamping budgets and plans to deal with the unexpected, why should you be different? Set aside at least 10% to 15% more than the estimate you've received from your contractor to keep your project on track. If you don't have it, then scale back the work or find less expensive materials so you can be prepared. Any changes to the job once it's underway should be added to your written contract and described in the same detail as the original work. No matter how many issues of Architectural Digest, Dwell and Interior Design you've read, you can't expect a magazine-ready result without some professional help. That means hiring a designer. Interior design is about more than knowing what area rug would look best with what couch. It's about creating a space that's functional for your lifestyle. What would work best if you throw parties regularly? Is it possible to have a glamorous living room with three young children? 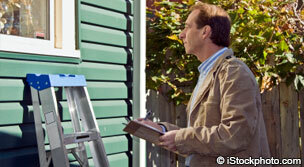 It's also about fixing or downplaying the unattractive aspects of your space and highlighting its best features. How do you make a room with low ceilings feel spacious? How can you showcase the fireplace while still enjoying your TV? You wouldn't try to cater your friend's wedding just because you've watched hundreds of cooking shows. Think about interior design the same way. You run a very real risk of spending a lot of money, and being disappointed in the results, if you don't hire a professional to help you think this thing through. Any contractor you consider should be licensed and in good standing, should have worker's compensation and liability insurance, and should have a surety bond. Ask for references, then call those clients to ask how responsive the contractor was, whether he stuck to the schedule and budget and how he handled any problems. Also check Angie's List, Yelp and the Better Business Bureau. 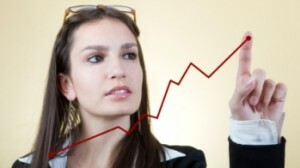 Look for trends in what customers report rather than focusing on any one story. But above all, do not pick a contractor based solely on price. Experience, attentiveness and speed matter, too. In the long run, even paying up to 20% more isn't going to hurt if it means the difference between a good remodel and a bad one. You must give each contractor and designer you request a bid from a detailed project specification list so you can accurately compare bids. Details for each trade, such as tile type for a kitchen floor. Special parameters, such as limits on work days and times. Being clear about the project's details up front will also help you avoid unexpected charges later. 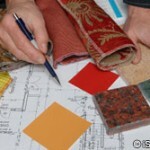 After choosing a contractor, turn those specs into a detailed written contract that you and your contractor will sign. This agreement should thoroughly describe the scope of work, the materials to be used, cleanup and debris removal, the total price and the payment schedule. Make sure your contract describes the order in which the work will be done. You don't want the new hardwood floors installed before the walls are painted or plumbing getting moved after your new cabinets are hung. Update the contract any time your plan changes, and walk through the project with your contractor each day to make sure the work is going as planned. Should you pay extra on your mortgage? Paying off your home loan more quickly can save tens of thousands of dollars in interest charges. But before you start sending your spare cash to your lender, you need to make sure your overall finances are in order. Paying extra on your mortgage isn't always the smartest use of your money. 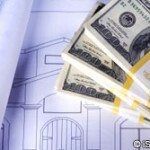 How long has it taken you to save up for your remodeling project? How much time did it take you to come up with your vision? Don't let a well-meaning designer, contractor, store employee or friend steer you toward a color, a finish or a layout that's not what your heart is set on. And don't let your frustration with a project that's running off-schedule push you into accepting changes just to get your house and your life back. Don't use cheap-looking materials. If your budget is tight, get creative about finding high-quality materials at a discount. You'll be living with the results for years. You should be happy with what you get. Have you made remodeling mistakes? What tips would you add to the list?